Being bored in her retirement is not a concern for Elizabeth “Debbie” (Sisson) Wych. Debbie and her husband, Bob, moved from Iowa to Sedona, Ariz., in 2009 after visiting the area a few years earlier for spring break. “We loved the hiking and the weather,” she said. She quickly got involved in Friends of the Forest, a group of volunteers who support the U.S. Forest Service. Debbie regularly volunteers for trail patrol and at the Ranger Visitor Information Center. For their work with the organization, she and Bob received the Friends of the Forest 2012 Volunteer of the Year award. It’s hard to imagine that Debbie (’70 elementary education) is any less busy now in her retirement than she was when she was working full time back in Iowa, where she was an elementary school counselor (for 18 years in Dallas Center-Grimes Elementary and Beaver Creek Elementary in Johnston). 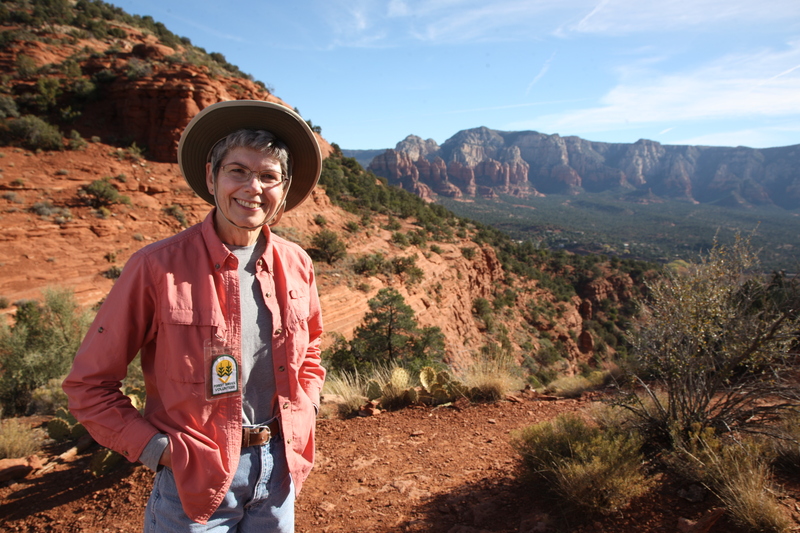 Besides Friends of the Forest, she is also involved in her church, plays in the bell choir, is a “big sis” to a 14-year-old girl through Big Brothers/Big Sisters, is a member of the Red Rock Quilters, and participates in other service organizations in the Sedona area. She also hikes several times a week, exercises, and takes classes at a local fitness center. “I never have to worry about what I’m going to do,” she said. She and Bob also like to travel, and Debbie says they never miss an opportunity to cheer on the Cyclones.